Jones Foundations Pvt Ltd presents an Individual house in the name of Jones Cassia available for sale is located at Ottiambakkam, Chennai. Each independent villa is set with beautifully created interior and exterior spaces that merge each other in a complementary fashion to create a flow of functional spaces that makes life a pleasing experience.Jones Foundations Pvt Ltd presents 3 bhk individual house available for sale in Ottiambakkam designed with more convenient and comfortable living space. Isha code Field, an Independent House promoted by Isha Homes (India) Pvt Ltd located in Pudupakkam, behind SIPCOT IT Park on the OMR IT Highway ensure a happy life for your family. 24*7 Electricity supply ,Well connected to the city with all public transports available at walking distance and Security personal available. Isha Homes (India) Pvt Ltd offers 3 BHK Individual House in Pudupakkam with all amenities and facilities surrounded. Saicare India Pvt Ltd proudly presents Saisun Paraiso, an Independent House for sale located at Pudupakkam, OMR. It is a gated community with excellence assured. Extended over a wide area, the architecture and attention to detail put them in a class by themselves. Saicare India Pvt Ltd offers 2 BHK Individual House at Pudupakkam at affordable price point and developed as per the customer satisfactions and requirements. Saicare India Pvt Ltd also offers 3 BHK Individual House that is ready for delivery within 12 to 14 months from the agreement date. ISHA MIA VILLAS is an Individual house located in Pudupakkam, Chennai. Each of the villa is developed with world class amenities, ample infrastructure, loads of ventilation and more. Water supply is from bore well and lighting and fan loins have been provided. Safe and secured locality with space for car. Isha Homes (India) Pvt Ltd offers 3 bhk individual house in Pudupakkam developed with serene ambience. Roomscapes The Village, an Independent House for sale located at Thalambur, Chennai is promoted by Roomscape Property Development with all essential facilities supported. We have developed our villa as per the customers expectations and as per the latest industry standards for the comfortable living. Roomscape Property Development offers 3 BHK Individual House at Thalambur at a cost effective rate. SSPDL Lakewood Enclave from SSPDL is an Individual House located in Thalambur, Chennai. It is designed with excellent amenities and interiors. The project suffices all basic amenities and provides 3 BHK villas. Being close to all necessities, it has a good connectivity to the rest of the city. 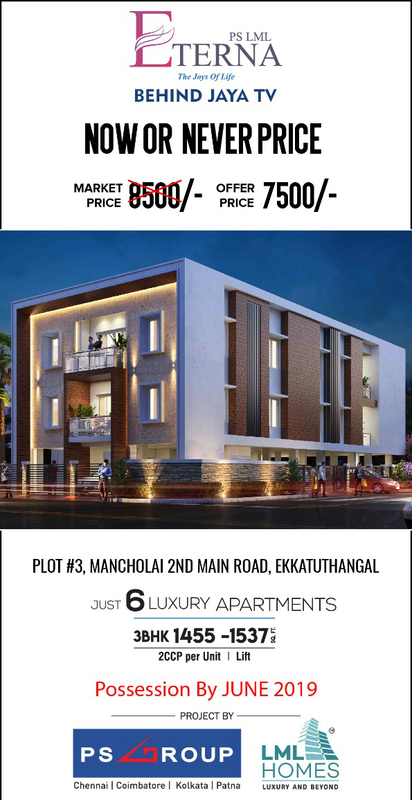 SSPDL offers 3 BHK Independent House in Thalambur with ample infrastructure at affordable price point. Southwest developers offers an individual house in Thalambur,Chennai, India. Our villas are created and carefully designed to match up the requirements of our customers as well as we offer them the property at an affordable price.Finished walls & ceiling in the drawing room with pleasing shades, outer doors & windows with finest quality of wood and good quality hardware.Southwest Developers offers 3 bhk independent house available for sale in Thalambur,Chennai developed amidst dense greenery surroundings. Leaders Gate Housing Private Limited offers 3 BHK Independent House in Sithalapakkam developed in a peaceful environment at a cost effective rate. 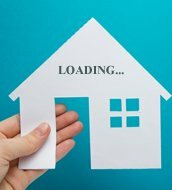 Leaders Gate Housing Private Limited has come up with a Individual House for sale named Leaders Elite Crystal Gate is located in Sithalapakkam, 4 kms off a Medavakkam between OMR and GST Road.They also offer 3 BHK Independent House developed in a peaceful environment at a cost effective rate. SUPERB AVANUE ,PUDUPAKKAM NEGOTIABLE PRICE DTCP APPROVED LAND LAND Sqft :2100 only Build up :1800 only ALL BANK LOAN 90% SUPERB Avanue is one of the Popular Residential Developments in(OMR) siruseri back site, Neighborhood of Chennai. It is among the on going projects of its Builder. It has yet thoughtfully Designed Residences. Salient Features Fully gated community. Complete compound walls are provided.IN and OUT gates are provided. Electrical lines are provided in all street areas. Mainly nearby OMR to ON ROAD of my property. Under 30 feet for super and directly drinking water in my site. Children’s play area. Ready to construct with in “GATED COMMUNITY” Layout. Nearby Areas: Schools Murry Rabindra Matriculation CBSE School. VelammalVidyashram CBSE School. SushilHari International School. Crescent Residential Matriculation Higher Secondary School. Padma Seshdri Bala Bhavan School. Colleges SSN Engineering College. Vinayaga Mission University. Tagore Engineering College. VIT University. Hindustan Institute of Technology. Sathyabama Engineering College.Jeppiaar Engineering Colleg IT Companies Hexaware,Infosys,Cognizant,Dell Wipro,Accenture,3i Infotech,Pacifica,TCS, Aspire Systems,HCL,Sutherland,Polaris Entertainment Places Coromandel Plaza (AGS Cinemas). Mayajal. Mamallapuram. Crocodile Park. Vandaloor Zoo. VGP Golden Beach. Muttukad Boating. MGM Dizzee World. Hospitals Cettinadu Health City. Global Health City. Life Line Hospital. Cloudnine Maternity Hospital. Praveena Hospital. Sri Venkateshwara Hospital. Grab this GREAT OPPOURTUNITY to invest your valuable hard earned money in a right place!!! So don’t miss this opportunity!!! DON’T WAIT to “BUY LAND”….. …..“BUY LAND” And WAIT.